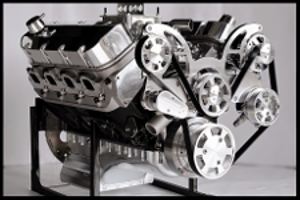 SBC 57-95 HOLESHOT POLISHED INTAKE MANIFOLD (NON-EGR) PCE147.1001 CLEARANCE! HI RISE SBC SINGLE PLANE + POLISHED INTAKE MANIFOLD PCE 147.1022 CLEARACANCE! SBC CHEVY ELIMINATOR POLISHED INTAKE MANIFOLD PC-2025/ PCE147.1018 CLEARANCE!